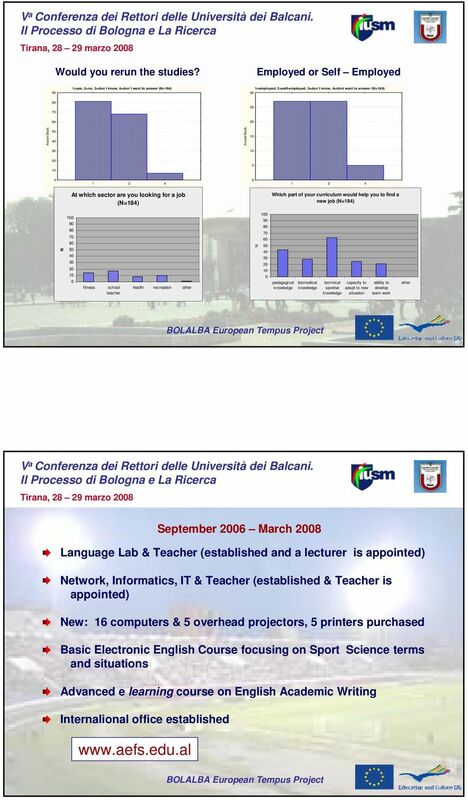 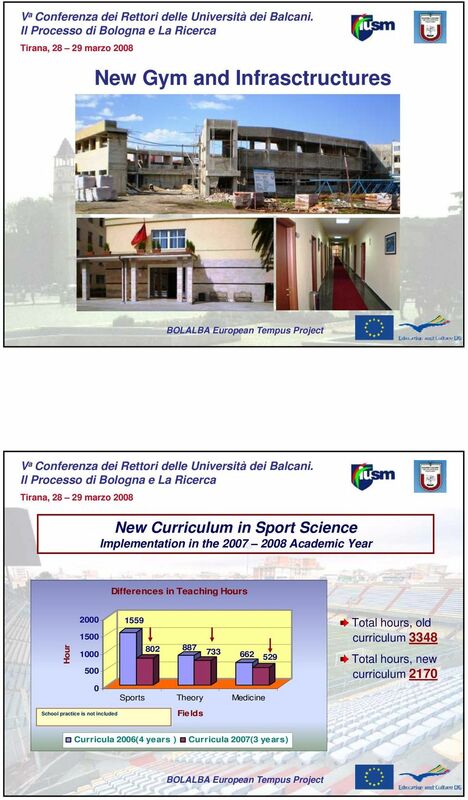 Download "ALIGNMENT TO BOLOGNA PROCESS AND INTRODUCTION OF THE NEW CURRICULA FOR SPORT SCIENCES IN ALBANIA"
6 September 2006 March 2008 Visits of European Partners in Tirana and Coordinating Meetings Meeting with the Academy staff and seminar on Bologna Process Discussions in the departments for the new curriculum, ECTS, credits and accreditation, referring to the specifics of the departments Visits of Albanian Partner, academic and administrative staff, in Rome and Vienna. 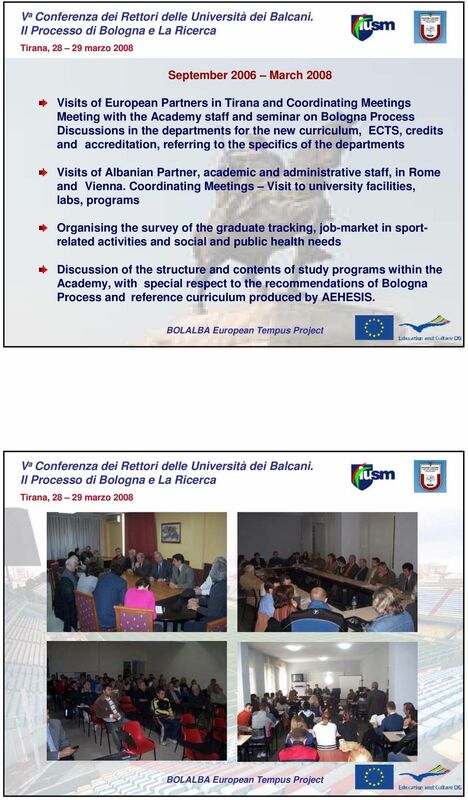 Coordinating Meetings Visit to university facilities, labs, programs Organising the survey of the graduate tracking, job-market in sportrelated activities and social and public health needs Discussion of the structure and contents of study programs within the Academy, with special respect to the recommendations of Bologna Process and reference curriculum produced by AEHESIS. 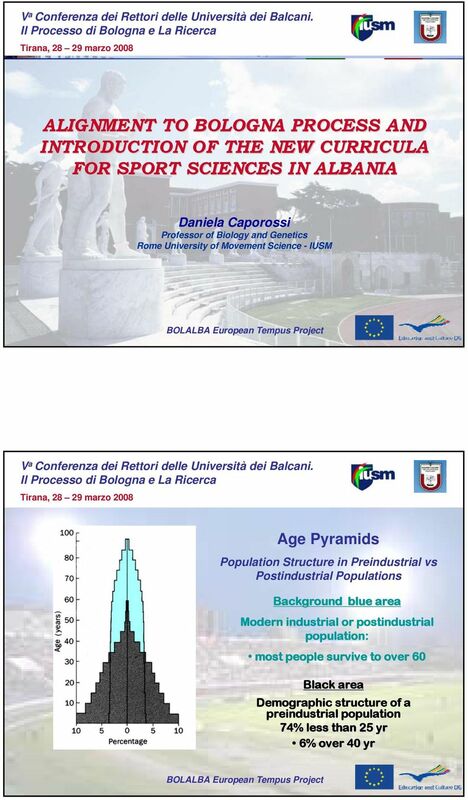 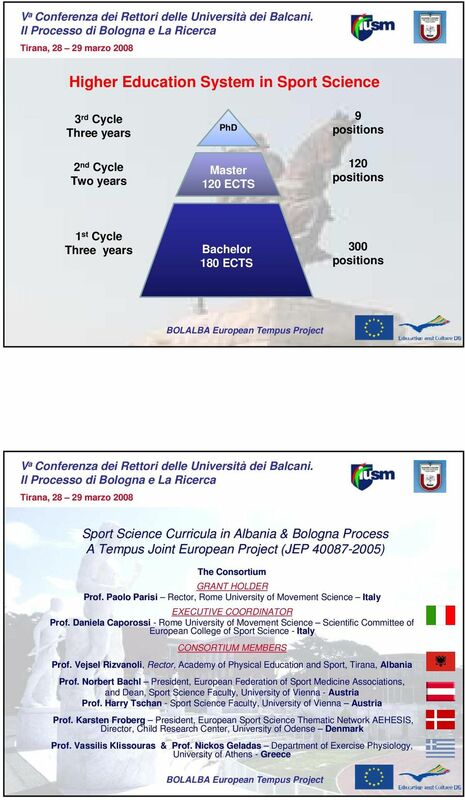 18 In the next future Introducing the 2 nd Cycle Curricula in Sport Science, research oriented, opening the access of post/graduated students to PhD. 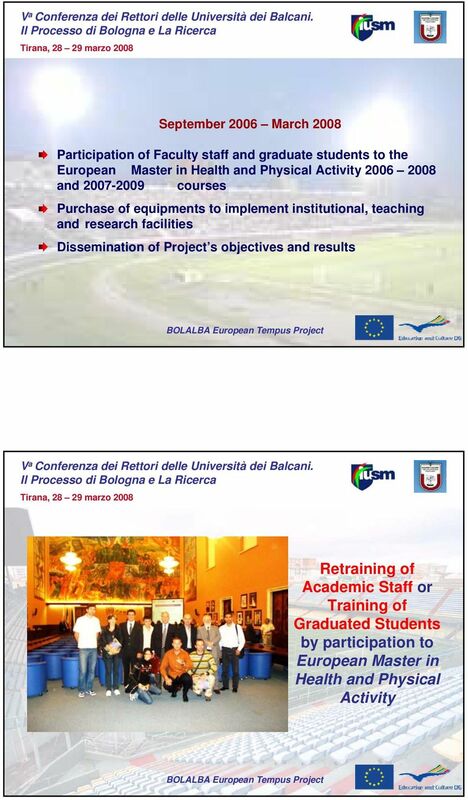 Implementing research facilities. 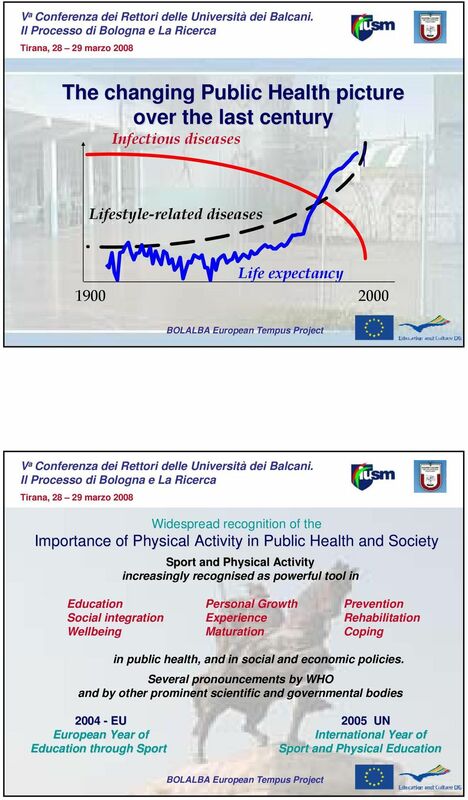 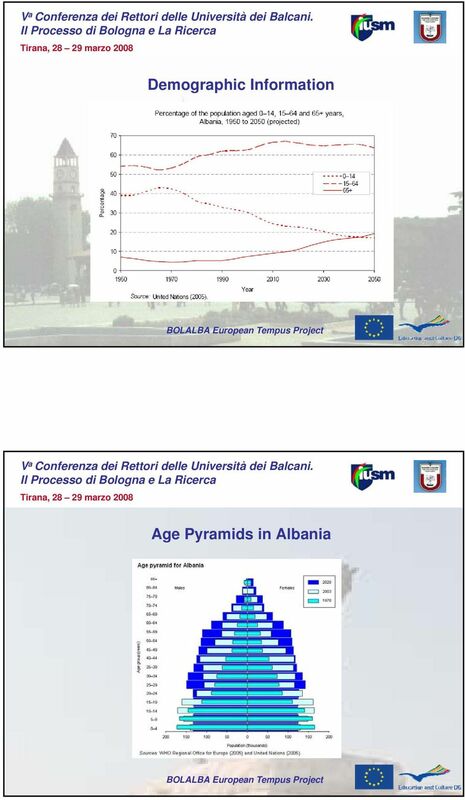 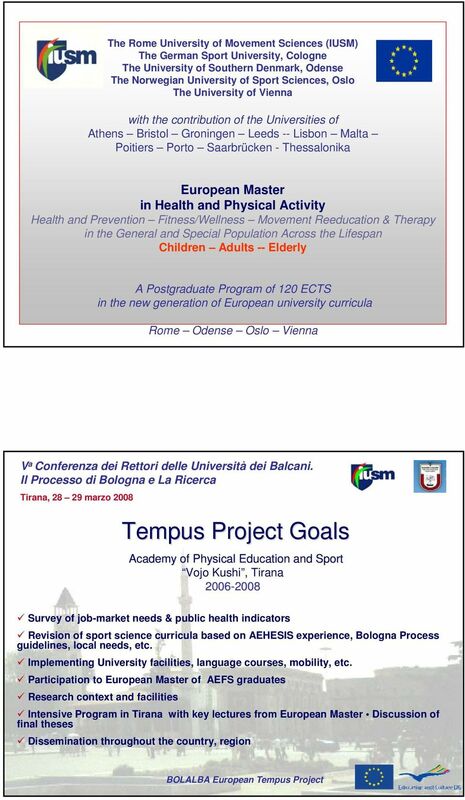 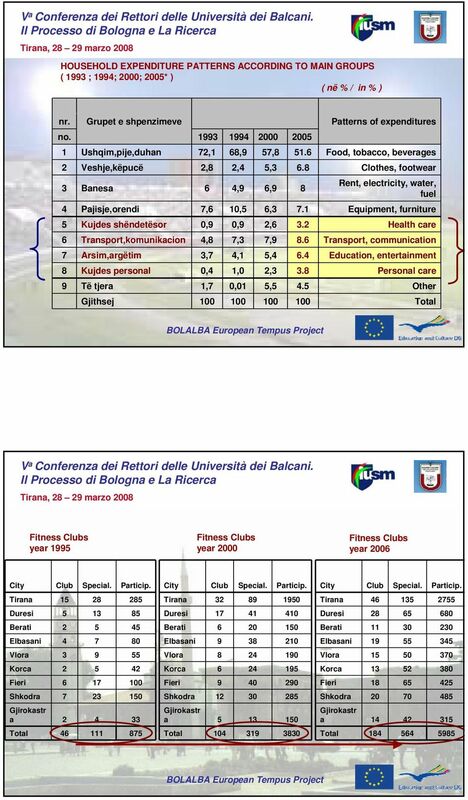 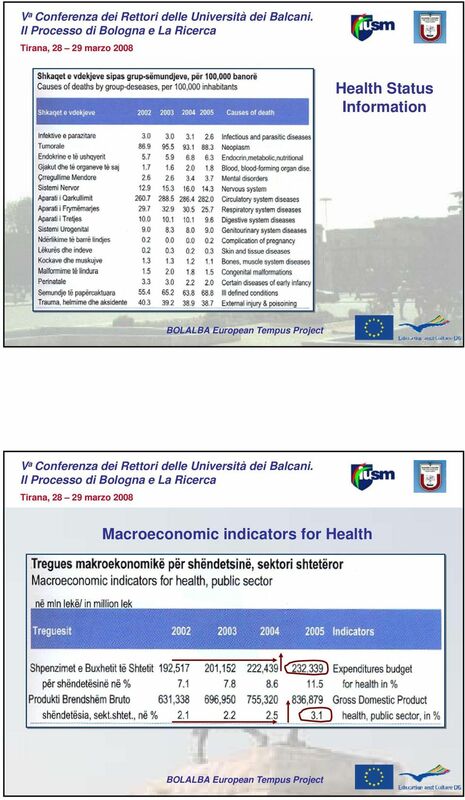 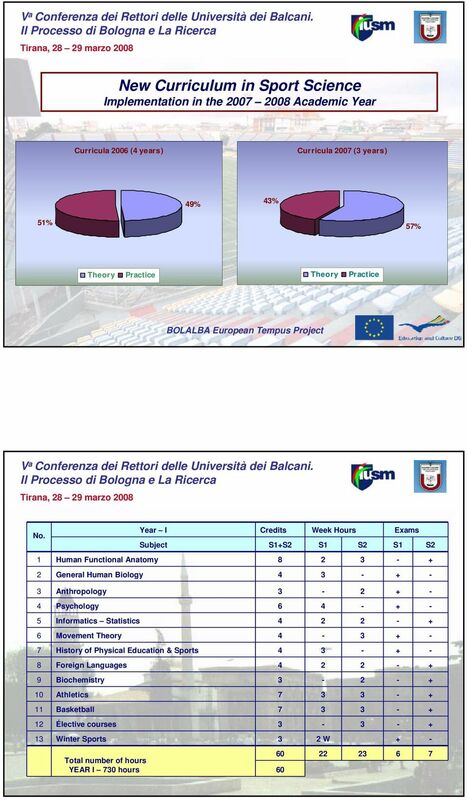 Participation in TEMPUS IV with a multi country project involving also Faculty of Physical Education in Kosovo and Macedonia. 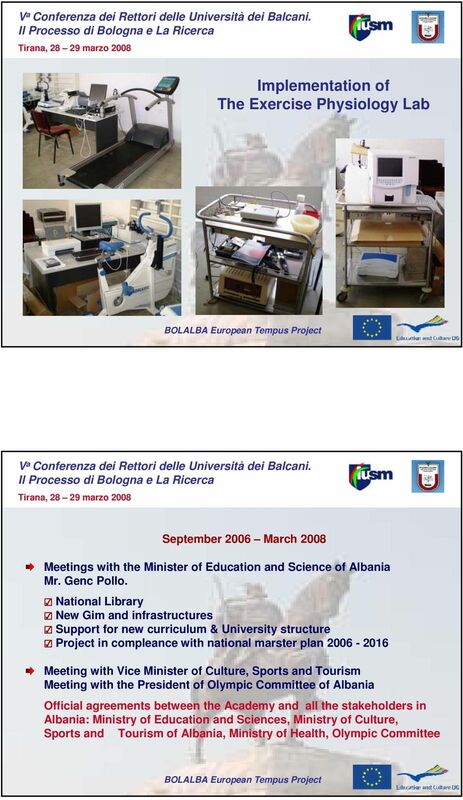 Per un internazionalizzazione dell insegnamento in biblioteconomia. 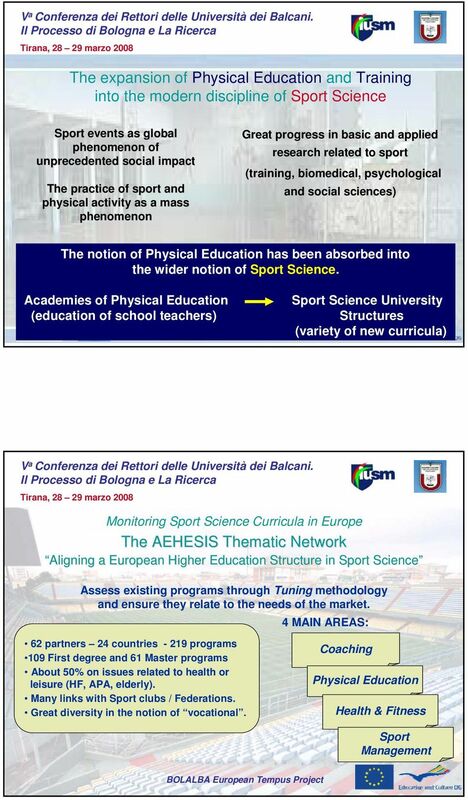 12 marzo 2010 Milano Palazzo delle Stelline Sala BRAMANTE h. 9.30-13. 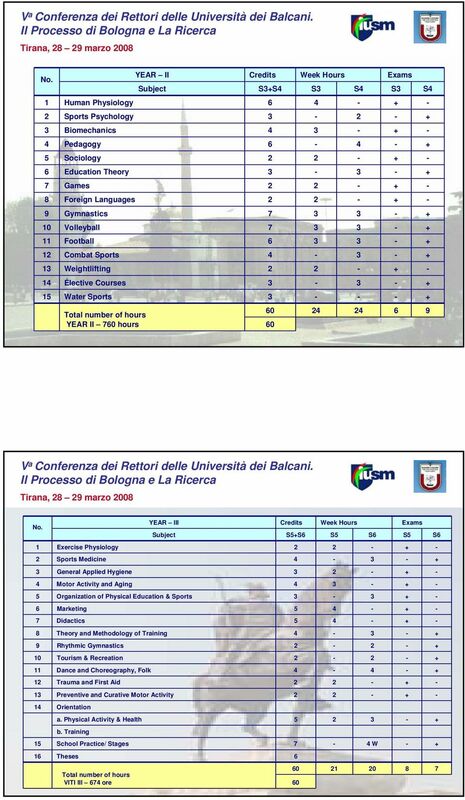 UNIVERSITA degli STUDI di FOGGIA DIPARTIMENTO di ECONOMIA (DEPARTMENT of ECONOMICS) CORSO DI LAUREA/CORSO DI LAUREA MAGISTRALE in Marketing Management Master Degree Programme: Marketing Management a.a.